RAPID CITY, S.D. — A South Dakota woman accused of beating her two-year-old son to death in 2016 for wetting his bed has pleaded guilty to murder. Katrina Shangreaux, 30, of Porcupine, reportedly made a vulgar gesture at her sister-in-law as she left the courtroom on Friday, according to the Rapid City Journal. Shangreaux, who says she came home drunk and on pain medication that morning, outlined that she consequently beat the boy with her fists and a belt, and then threw him to the ground and kicked him in the head and abdomen. She also bit him several times. Shangreaux then tried to give Kylen apple juice, but he collapsed on the floor, defecating on himself. Prosecutors believe Shangreaux and her mother cleaned up the boy’s blood, feces and clothes before eventually calling for help. Her mother has been charged with being an accessory to murder and tampering with evidence, and reportedly provided “multiple excuses” as to why the boy was hurt. Kylen was pronounced dead at the hospital, and doctors found that he had a fractured skull and multiple bruises and bite marks. It is believed that he had been dead for four hours before arriving at the facility. An autopsy revealed that the child had bruises on 70 percent of his body—some fresh, some old—and one of his ribs was fractured. He also had bleeding on his brain and abdomen. Shangreaux fled after learning that her son was deceased, but was captured and charged with child abuse and first-degree murder. As part of a plea deal, her previous charges will be dropped and Shangreaux will be sentenced for second-degree murder. She faces potential life in prison for the crime. 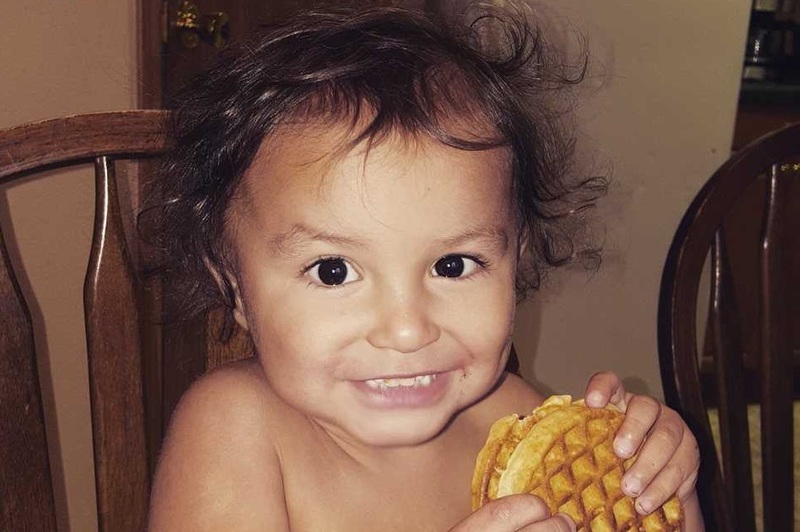 According to reports, Shangreaux’s sister-in-law, Angie, had wanted custody of Kylen, and had him in her care for a year, but the Oglala Sioux tribal court ordered that the child be returned to his mother since she was a member of the Oglala Sioux Tribe. Shangreaux held hostility toward Angie and court records state that the boy said his aunt’s name during the ordeal, which is believed to have further fueled Shangreaux’s anger. It is also believed to be the reason why Shangreaux made a vulgar gesture at her upon leaving the courtroom. Kylen had only been living with his mother for one month before he was beaten to death, People Magazine reports. The boy’s father, James Shangreaux, Sr., is currently in prison on child abuse charges surrounding a baby he had with another woman. That child also died. A page called “Justice for Kylen” has over 7,000 followers, and a petition has been launched on Change.org. As previously reported, Jesus said in Mark 7:20-23 that murder begins in the heart.